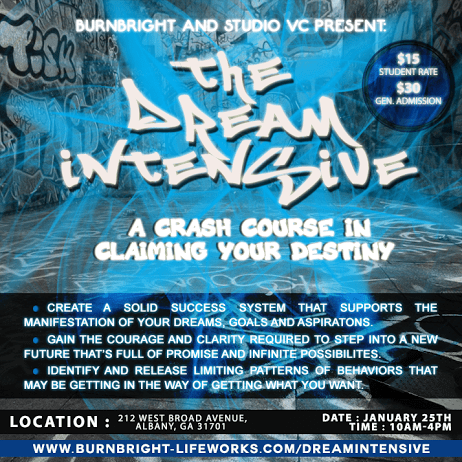 BurnBright and Studio VC are excited to announce the ‘Dream Intensive: A Crash Course in Claiming Your Destiny’. Create a solid success system that supports the manifestation of your dreams, goals and aspiration. Gain the courage and clarity required to step into a new future that’s full of promise and infinite possibilities. Identify and release limiting patterns of behaviors that may be getting into the way of getting what you want. Improve your strategic thinking skills and explore new ways of BE-in and DO-ing in the world. We look forward to your participation in this course and take the advantage of it to the fullest. We have limited seats available. If you have any questions or concerns, please don’t hesitate to contact us at support@burnbright-lifeworks.com. Please note, for General Admission our ticket cost is $30.00 and for Intensive Students the Ticket cost will be $15.00. 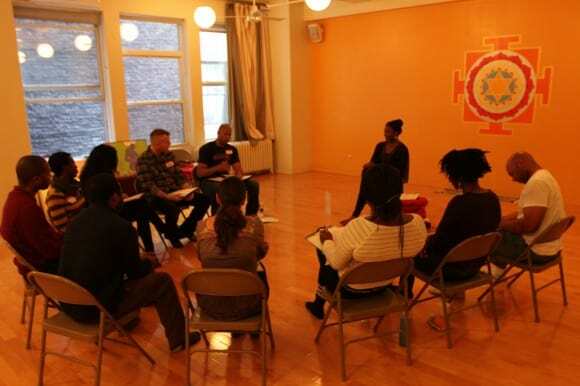 tailored strategies that support them in achieving their highest form of excellence. Highly sought after, Ozioma’s strategies have been adopted by individuals, Fortune 500 corporations, and local communities. She has been featured on NBC, spoken at the United Nations, rocked TedxBrooklyn, moderated at Social Media Week, inspired SXSW, and much more. Ozioma is CEO of BurnBright International LLC and faculty at Columbia University.